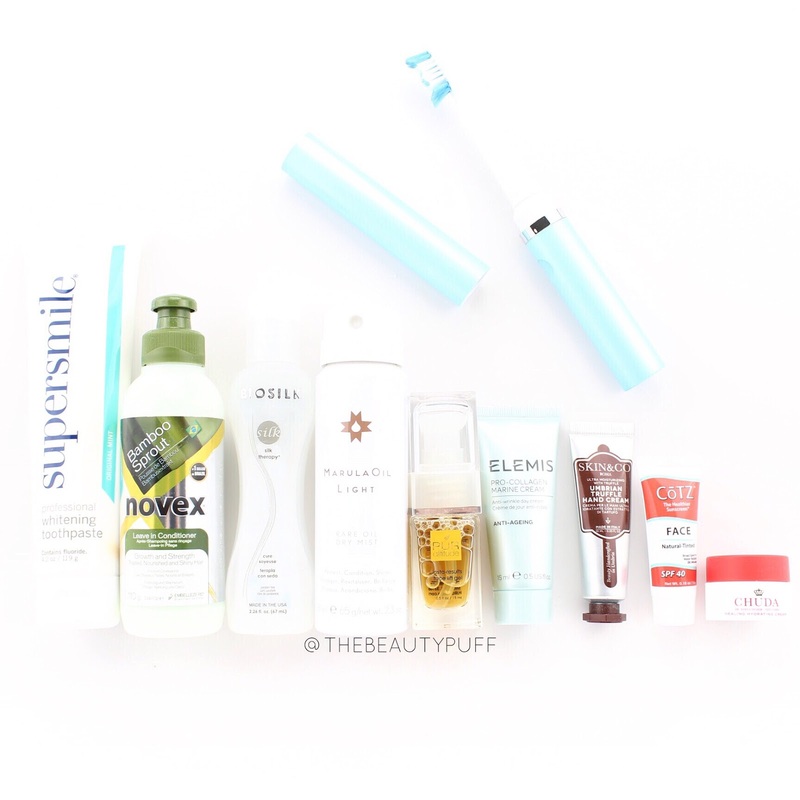 It's time for March's NewBeauty TestTube! If you aren't familiar with NewBeauty TestTube, it is a beauty sampling program that includes both full and deluxe size samples of must-have beauty products. It's a great mix of makeup, skincare and haircare. I always feel so pampered with these TestTubes! Let's see what this month included. Supersmile Whitening Toothpaste | $21 | I was introduced to this whitening toothpaste in another NewBeauty TestTube and I really like it! It's gentle enough for sensitive teeth and has a great mild flavor. Novex Bamboo Sprout Leave In Conditioner | $4.99 | This conditioner can be used on wet, damp or dry hair to replenish moisture and smooth. Just what my dry hair needs to bring it back to life for spring! Biosilk Silk Therapy Lite | $15 | One product I always have on hand is a hair serum. This serum is a lighter formula that's suitable even for fine, thin hair so it won't weigh it down or feel heavy. It also hydrates and keeps hair shiny. MarulaOil Light Rare Oil Dry Mist | $28 | I'm a huge fan of dry oils but I've never had one in a mist form before. This formula has Marula oil which provides shine, hydration and antioxidants to help replenish hair without weighing it down. Another great product for a springtime hair routine. Pur Attitude Insta-Results Face Lift Gel | $27.50 | This serum gives an instant tightening effect but I have to say I was most excited about the algae extract. It helps brighten and soften skin while reducing inflammation and redness. I also like how this serum is a multi-tasker and can be used as a makeup primer. This is definitely a favorite for me this month! Elemis Pro-Collagen Marine Cream | ~$40 | Usually anti-aging creams are used at night, but this cream can also be used during the day. It features ginkgo biloba which is an antioxidant that protects skin from free radicals and helps sooth. Skin & Co Truffle Hand Cream | $4 | This rich cream has black winter truffle which has antioxidants and shea butter which keeps skin silky smooth. I can always use an extra hand cream in my purse! Cotz Natural Tinted Sunscreen | $2.40 | A lightly tinted sunscreen is perfect for spring! I love light-weight minimal makeup in the warmer months so I'm excited to try this sunscreen. It smooths out redness and can also be used as a primer. Chuda Healing Hydrating Cream | $15 | This is a great multi-purpose cream that can be used on your face and under your eyes for an instant boost of hydration. It helps restore skin and rebuild collagen to reduce fine lines. Pop Dental Toothbrush | $29.99 | Perfect for a beauty on-the-go, this toothbrush provides a thorough cleaning with 30,000 brush strokes a minute. It also comes in super cute designs so it makes cleaning fun whether you're home or traveling.